This house, a Sears & Roebuck prefabrication, is a favorite with visitors. At a cost of $2211, Martin Mayer ordered it delivered in 1925. The building came to the island in 30,000 pieces on a flatbed truck aboard a barge. It was the island event of the year! Morning Glories was originally located on San Carlos Bay. A few years ago, the house was donated to the Village, and a group of volunteers labored for almost a year to restore the building to its present condition. 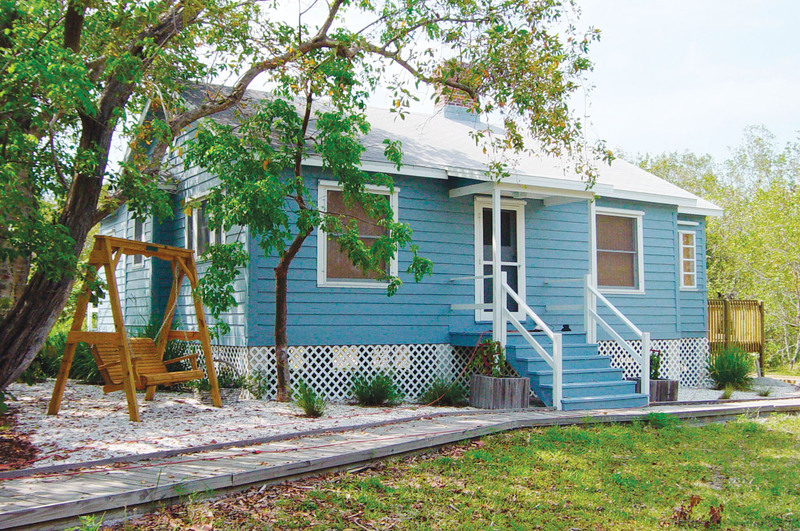 Its warm and cozy atmosphere seems quite livable to today’s visitor and represents a typical winter home on Sanibel in the 20s and 30s.